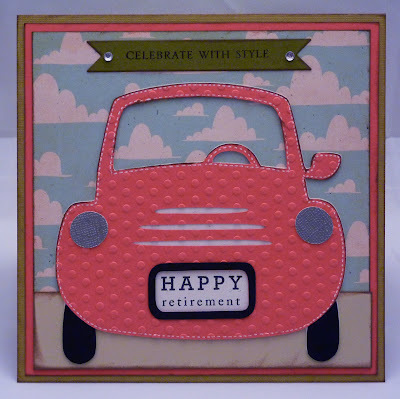 Our incredible school secretary is retiring on Monday, after being at our school for 13 years. Everybody knows that she is the one who really runs the school, and we're all a bit worried about what's going to happen when she leaves. 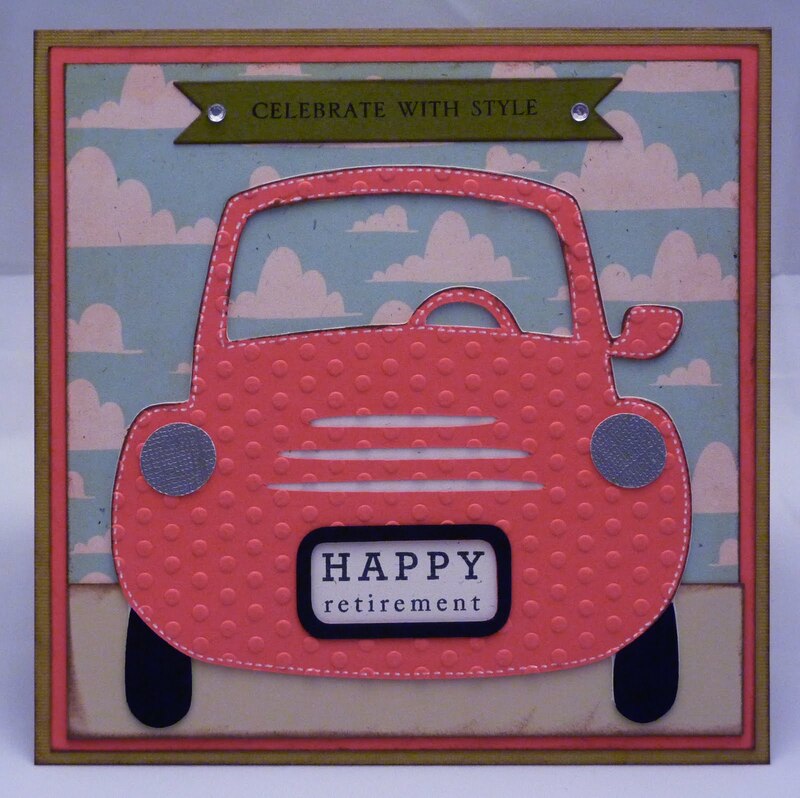 This is my retirement card for her. The car is cut at 4 1/2" from Nate's ABCs. I made it this size to fit my sentiment on the license plate. For the background paper, I used a pattern from the Best Friends Imagine cartridge and printed it on Vintage Cream cardstock, to give it a more vintage look. 6" x 12" Cardstock from the DCWV Neuturals Stack, scored at 6"
too cute, she is gonna love it! So sweet. I love the license plate idea. I know she will love it!